Marineland c360: Pros and Cons. Is The Penn Plax Cascade 1000 Under Priced? The Fluval 406: No Worries! Is The Eheim Classic Still The Best Canister Filter? Is The SunSun HW-302 Worth It? Hydor Canister Filter: Is This The New Champ? Tetra Whisper HOB: How Does It Stack Up? Is The Fluval C4 The Best HOB Filter? Fluval AquaClear 70: One Of The Best! Did you know a large amount of the filtration that happens in your tank is done by microorganisms? While it’s not the whole story, biological filtration is an important factor in keeping down levels of ammonia and nitrates within an aquarium’s water. Your bio-media provides a place for the necessary bacteria to reproduce and devour waste chemicals that can harm your fish. If you’re trying to decide on the best filter media for your canister filter then you’re in luck. Read on and we’ll break it down so that you can get the most out of the biological filter media you’re running. How Often Do I Replace Bio Media? When your fish are put into a new tank the water column is bare of most of the bacteria which need to be in place to properly process waste. That’s why cycling a fish tank before you begin to add fish to equal the capacity of the tank is important. What you’re actually doing is revving up the nitrogen cycle in the fish tank. It takes place in nature, on land, and is a huge component of biological life. And if it’s not in place then you’re going to start losing fish. Fish waste consists primarily of ammonia. In the wild, where even a relatively small pond or stream has a lot more water than any private fish tank this isn’t a problem. On the other hand, in the confined space offered by your aquarium, your fish can quickly poison themselves with their own waste. Ammonia, or NH3, is processed by Nitrosomonas sp. bacteria, which converts it into nitrite or NO2. Nitrite is extremely toxic for your fish and its presence should be undetectable to most commercially available test kits. From there, nitrite compounds are converted into nitrate compounds by Nitrobacter sp. bacterium. Nitrates are much less toxic than either nitrites or ammonia and they’re removed by the plants within your tank and during water changes. Nitrate levels should be monitored with a test kit to make sure they don’t get too high but most freshwater inhabitants are fairly resistant to this part of the nitrogen cycle. The goal of bio media is to provide an area for these bacteria to build up and breed to adequate levels for your aquarium. Without them, you’re just left with a ton of waste that will kill your fish. Canister filters offer a lot of advantages for those who use them. They add a bit of water to the system and are efficient at removing waste from the water and they can avoid some of the problems of standard filters which sit on the back of the tank. They’re also the best option for anything over forty gallons. There are a few different types of filter media out there and filters often come with a passable biological substrate when they’re purchased. The important thing is the surface area. If you’ve run a fish tank before you’ve undoubtedly come across the white, pasta-shaped stuff when you’re setting up a filter. That’s a basic form of biological media comprised of a porous ceramic. They definitely work but there are other media types available for those who want to really get into it. All of these are great choices. The main difference is in the surface area and how prone the media is to clogging. Smaller media, such as the porous ceramic we see commonly used, is great but it has a secret issue. It clogs more readily than any other biological medium. on the other hand, is exactly the opposite. It virtually never clogs but the plastic balls lack the surface area of many of the others. 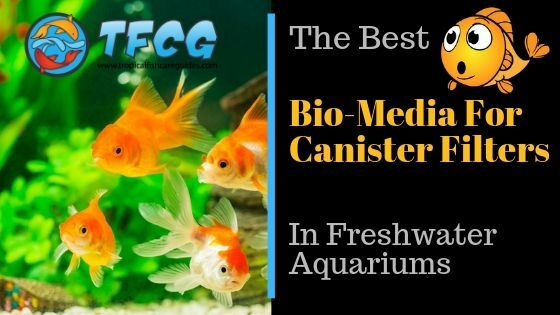 Are much more common these days and represent the best of the best when it comes to biological media for canister filters. These aren’t marbles, but instead, are comprised of ground glass particles which have been compressed together. This makes for an amazing surface area while rarely clogging. They’re also more expensive than the more old school filter media types. While glass balls, particularly the Eheim bio media brand, are probably the best around any media which is alive is going to win out over a brand new one. Mechanical filtration is also an issue for your bio media. Without enough of it, many types of media will clog rapidly. If this isn’t your first tank, you’re in luck. Cycling a take properly takes at least thirty days and can run up to three months for the nitrogen cycle to balance out entirely. Fortunately, there are some ways to speed up the process. One of the best is to seed your biological filter media with live bacteria. There are two ways to go about this: you can throw a small scoop of gravel in with the bio media you’ve decided to use or you can add some existing live media from another tank. Once added it will speed things up quite a bit, shortening the length of time until your water column is chemically stable. It still doesn’t mean you should be filling your tank to capacity immediately, however, you’ll want to monitor ammonia, nitrite, and nitrate levels and add your fish gradually. If you lack access to existing biological filter media then you can also find products which will seed bacteria and speed up the cycle. Seachem produces an excellent one called Stability that comes highly recommended by many aquarists. Or rather, you do it so rarely that it’s a non-issue. The bacteria are doing the work here and switching out one medium for another in a stable tank is a bad idea. For the most part, ceramic media will need to be replaced every three to four years and most others only need to be replaced if something drastic happens. If you’re starting a new tank then you should be careful about which bio media initially goes into the filter. You should be using it for at least a couple of years so it’s a relatively final decision. The nitrogen cycle is immensely important to the health of your fish and plants so it pays off to ensure you’re using the right media from the start. If you’re new to the hobby, why not check out our extensive blog and see what else you can learn? 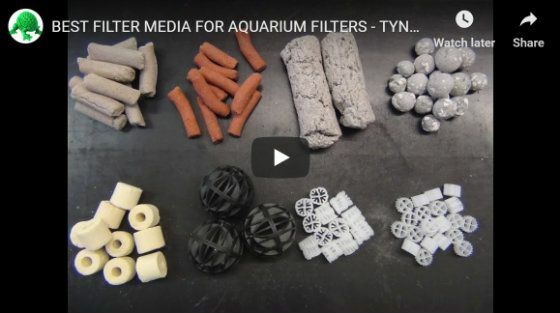 Here is a great video by Pondguru examining some of the best filter media available, some general tips at the end to help when choosing the right bio media for your canister filter.